Maria Castelnuovo‐Tedesco was one of the most successful and remarkable composers of the first half of the 20th century in Italy. His style is influenced by Neo‐Classicism, vivid, brilliant, with the occasional odd dissonance, strongly rhythmical and full of catchy melodies. He fled Anti‐semitism before WW2, and settled in Hollywood where he successfully composed film music for more than 200 films. 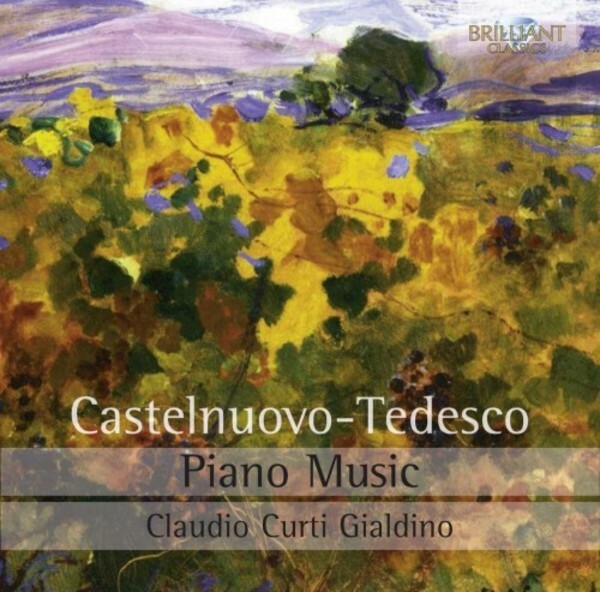 Apart from his importance as a guitar composer, Castelnuovo‐Tedesco created a small but appealing oeuvre for piano solo. This new recording presents a selection of these evocative and tuneful works, which deserve to be played more often in the concert halls. These are excellent performance by Italian pianist Claudio Curti Gialdino.